I am still a little upset that Château Labégorce Zédé in Margaux disappeared into Chateau Labégorce from the 2009 vintage. First tasted in the rarefied surrounds of a London 2 star restaurant many years ago now, it is a label that I have searched out over the years, buying here and there, to recapture a thought, taste or place, and sometimes all three. The château received the highest classification for a cru bourgeois in the now annulled 2003 classification of Bordeaux’s cru bourgeois (cru bourgeois exceptionnel). Annulled however is not necessarily the same as never existed, as the internet seems capable of proving most weeks. To me, that classification’s positioning of Labégorce Zédé at the summit seems entirely warranted. 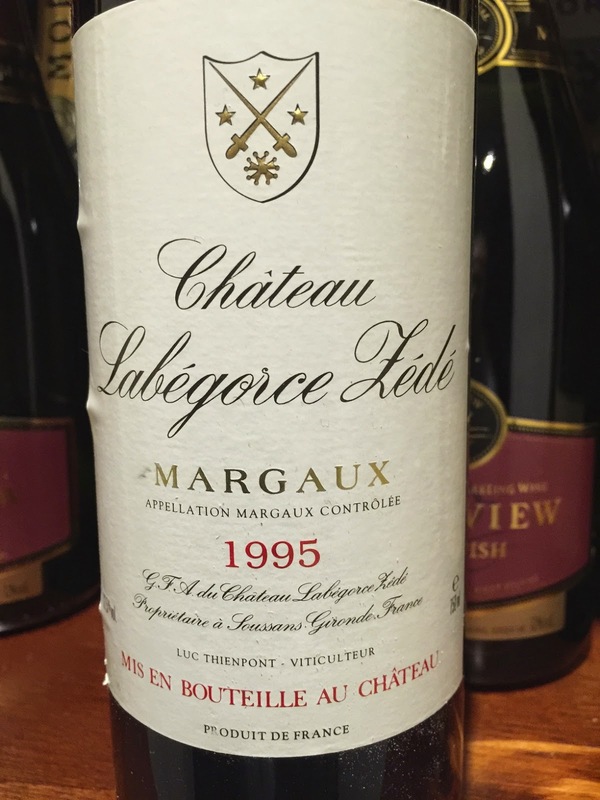 At 19 years of age, the 1995 vintage of Labégorce Zédé has reached a regal and impressive mature stature. It aromatic profile is classic left bank Bordeaux, with a rich seam of dried tobacco, blackcurrant and cigar box. The palate has balance and restraint, and long length, with reminders of blackcurrant and cigar box and some gentle tannins tugging at the sides. This is a stylish and refined wine resting comfortably at its drinking summit.